How are the initial parameters (e.g. access slot number) for network access be selected by the UE? In which way is blind transport format detection performed? What are the functions of the SSCOP protocol in the transport network protocol? What is the meaning of the N_Max_frames parameter? How are the dedicated and the common channels handled in the user plane on the Iub interface? What parameters are added to the Authentication quintet, how is integrity protection performed? What kind of different identifiers are used in CELL_FACH, CELL_PCH and URA_PCH for adressing? How is an AMR speech connection established and reconfigured, how is the codec mode change controlled? Everybody who needs to understand UMTS system details and operation procedures. 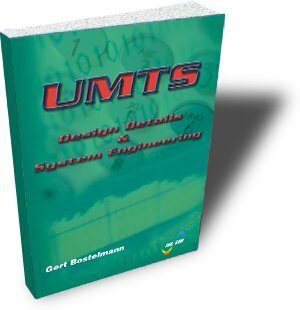 System designers and development engineers of UMTS network equipment and UMTS mobile stations. Network Planners who need to establish UMTS and/or joined GSM / UMTS networks. UMTS network operators for network design and planning, system installation, and/or system operation. Software engineers engaged in signal processing flow and/or protocol stack software development.